Alternative Therapy or Complementary Therapy is generally treatments that are used in place of or alongside conventional medicine. My advice is to always get a diagnosis from a qualified doctor before making any decisions to use alternative/ complementary therapy. Alternative therapies include many disciplines, such as acupuncture, massage, chiropractic, therapeutic touch (Reiki and healing), guided imagery, yoga, hypnosis, biofeedback, aromatherapy, relaxation, meditation, herbal remedies and many others. Research over the past few years has shown evidence of benefits for Mind-Body therapies, like acupuncture and meditation for helping to manage pain. Other alternative therapies like massage, chiropractic, therapeutic touch have the potential to relieve pain in certain people. There are so many alternative therapies, what works for one person is not necessarily going to work for another. Finding out about the various therapies and deciding which one to try is a good idea, you may need to try several before you have success. These are mind-body therapies which are to help the mind to have an effect on the body. Meditation and hypnosis help the body to relax which can help alleviate discomfort related to chronic pain. Many types of pain are created due to tension in the body so relaxing will help relieve your pain. Acupuncture is thought to decrease pain by increasing the release of chemicals that block pain, called endorphins. Many acu-points are near nerves when stimulated, these nerves cause a dull ache in the muscle. The stimulated muscle sends a message to the central nervous system, causing the release of endorphins (morphine like chemicals produced in our bodies during times of pain or stress). Endorphins are neurotransmitters (body chemicals that modify nerve impulses), block the message of pain from being delivered. Chiropractic treatment is the most common non-surgical treatment for back pain. Research has shown chiropractic may be helpful for headaches, neck pain, back pain and whiplash. There are other conditions which can be treated depending on your circumstances. Chiropractors use hands-on spinal manipulation and other alternative treatments, the theory being that proper alignment of the body’s musculoskeletal structure, particularly the spine, will enable the body to heal itself without surgery or medication. Manipulation is used to restore mobility to joints restricted by tissue injury caused by a traumatic event, such as falling, or repetitive stress, such as sitting without proper back support. Massage is used to help people suffering pain, to mainly manage back and neck problems. Massage can reduce stress and relieve tension by enhancing blood flow. This treatment can also help reduce the presence that may generate or sustain pain. Healing and Reiki is a channelling of energy into the body to help restore your energetic vibration back to normal. Our bodies are all energy vibrating at certain speeds. 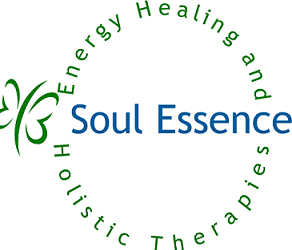 If your vibration speed is not correct you may have an illness or pain, the various energetic type healing therapies help to put your body back to its normal vibration. These therapies are normally done by laying hands on or close to your body. 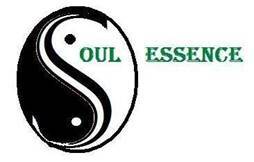 If you would like to try meditation, energy healing or acupressure seated massage contact me to book a session.